In a statement yesterday, the Housing Development Board of Singapore announced two major measures to further stabilize the HDB resale market. They include a 3-year waiting period for Singapore permanent resident (PR) households as well as a revision of mortgage loan terms. 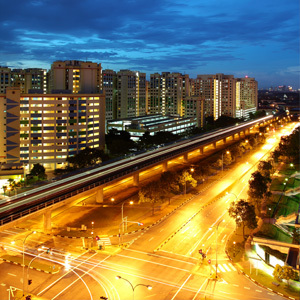 The Singapore government will reduce the maximum tenure for public housing loans from 30 years to 25 years. As well, flat buyers who take HDB loans will also be subject to a lower Mortgage Servicing Ratio (MSR). This means that the amount they can borrow from MAS-regulated financial institutions will be lowered from 35% to 30% of their gross monthly salary. This is to ensure financial prudence when purchasing property and to discourage over-consumption. Under current regulations, people who have newly acquired their Singapore PR status may buy resale HDB flats immediately. With effect from 5.30pm yesterday, 27 August 2013, a 3-year waiting period applies to this category of PRs. This new criteria comes on top of the new additional buyer’s stamp duty (ABSD) introduced in January this year. Under this policy, Singapore PRs must pay 5% ABSD on the first property purchase. Observers say the latest measures may see PRs looking to the private residential market, which is expecting a deluge of supply until 2016. Data published by the Urban Redevelopment Authority (URA) shows that 82,500 private houses will be available to the market by then. In addition, the Singapore National Population and Talent Division has outlined its plans to accept some 30,000 PRs annually in order to maintain a stable number of permanent residents here.